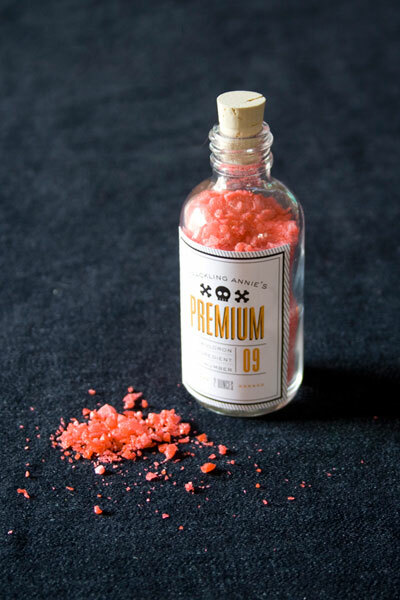 Amy from Living Locurto, Linnette from Paper Glitter, and I got together to create this fun (and free!) 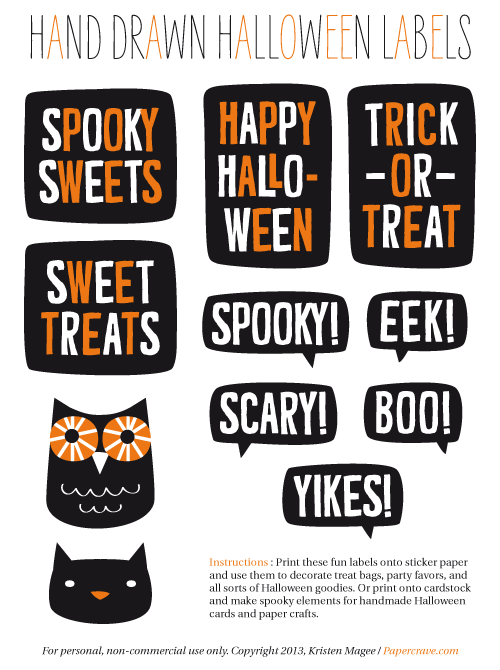 trio of black, white, and tangerine Halloween printables that you can incorporate into oodles of spooky-themed projects! 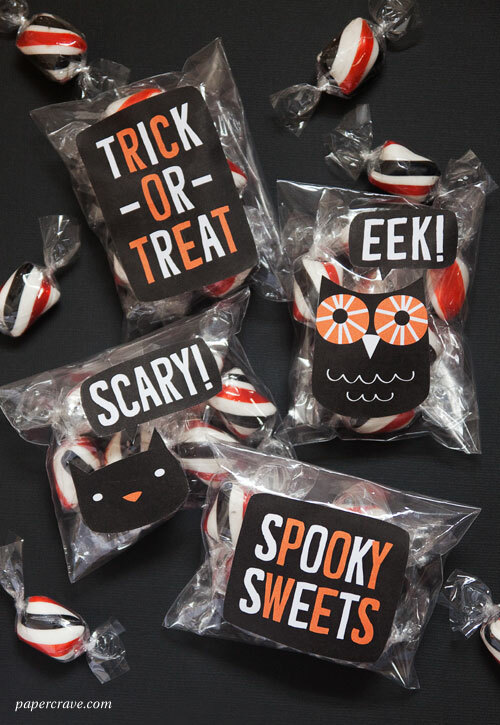 Amy designed totally cute lollipop holders, Linnette created creepy cool patterned gift wrap, and I put together a set of hand drawn and lettered labels/stickers that you can use on everything from treat bags to handmade Halloween cards. 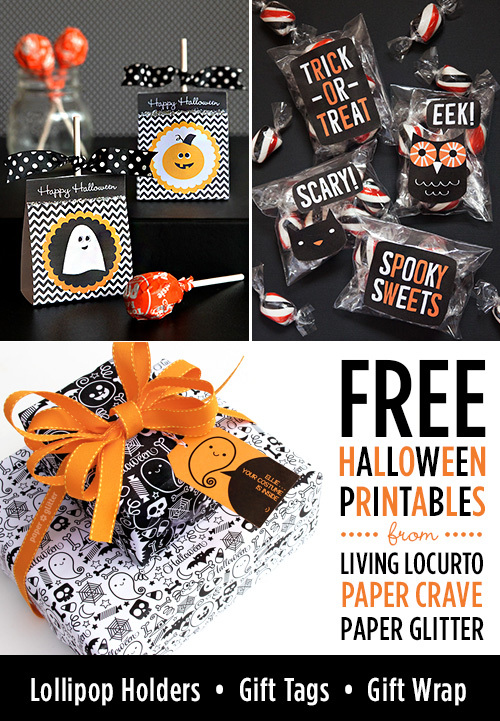 Click on the links below to find out more and to download these frightfully festive freebies, and please share them with your Halloween-loving friends, too! THANKS SO MUCH!!! Very cute! 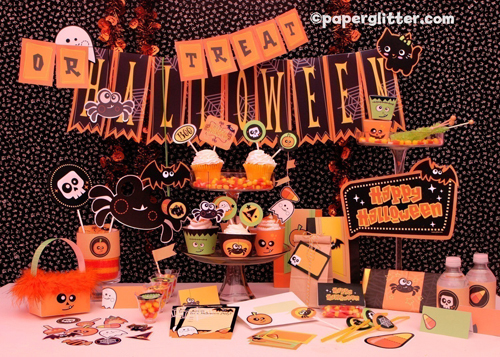 LOVE the Halloween wrapping paper! It was just what I was looking for to tie together a Halloween themed gift basket for my daughters!